Smartphones can double as great fitness trackers, but sometimes, they’re not all that accurate as far as activity tracking, heart rate and other things go. This is largely because fitness tracking is, obviously, not the number one goal of the smartphone. That said, space is taken up for a lot of things to, well, make it a better smartphone instead of adding in technologies that would improve the fitness tracking of it or increase fitness tracking features. This is where actual fitness tracks that go around your wrist come into play. Fitness trackers are nice, but one thing they lack is a coherent way for you to look at your data. With Bluetooth functionality and downloading an app on your phone, all that data that the fitness tracker is able to collect is quickly synced over to your phone (or tablet). That said, follow along and we’ll show show you some of the best fitness trackers out there that work with your smartphone over Bluetooth. 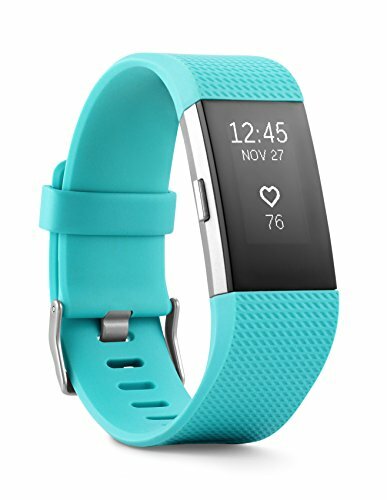 If you want to really spend some money to take control of your fitness regimen, you can’t go wrong with the Charge 2 from Fitbit. One of the neat things about the Charge 2 is that Fitbit worked hard to make it look a whole lot nicer, moving away from the standard designs of fitness trackers and into something more professional, like jewelry almost. 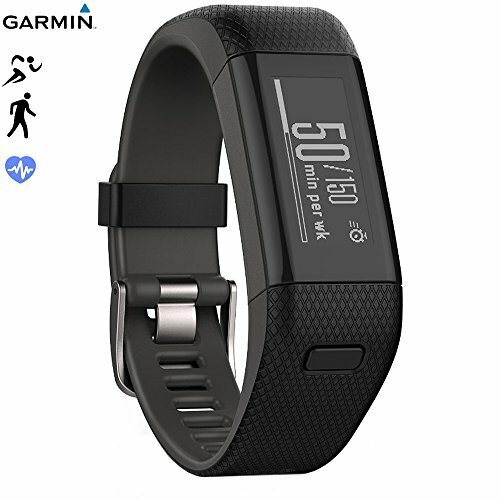 Aside from that, it has plenty of great features–automatic and constant wrist-based heart rate tracking for heart rate data and accurate data on calories burned, sleep tracking, and using Connected GPS over Bluetooth with your smartphone allows you to get a deeper look into pace and distance. The Charge 2, using data over a couple of days, will even give you a fitness score to help you determine how well you’re doing in keeping up with physical activity. You can’t go wrong with the Fitbit Charge 2. It’ll cost you $150 and comes in six colors: Teal, Rose Gold, Gunmetal, Plum, Blue and Black. 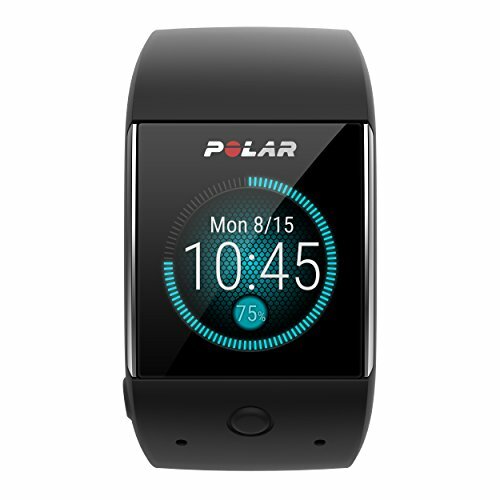 The Polar M600 is another excellent choice as a fitness tracker. It comes with an accurate wrist-based heart monitor as well as personalized training guidance built into the software to help you achieve fitness goals. This is also one of the few fitness trackers that has a built-in GPS instead of using your phone’s GPS over Bluetooth, which is often advertised as “Connected GPS.” The built-in GPS will keep track of your pace, distance and altitude. This can be good for things like hiking or training for a marathon. The Polar M600 is also waterproof, so you could even track activities such as swimming and certainly don’t have to worry about it in the rain. It’s worth noting that it also (sort of) doubles as a smartwatch with Android Wear 2.0 onboard. This allows you to download more fitness-based apps to use if you don’t like Polar’s built-in suite. You’ll have options like Runkeeper, Endomondo and more. 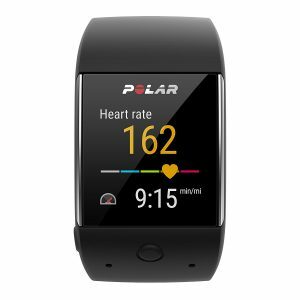 The Polar M600 costs $300 on Amazon. If you’re looking for a more affordable option that doesn’t look so modern, the Garmin Vivosmart HR+ will be right up your alley. It’s packed with great features–built-in GPS, waterproofing up to 50 meters, an optical heart rate sensor and battery life that’ll keep you on the go for up to 5 days. Built-in GPS will actually give you more built-in features in the Garmin Vivosmart HR+ than it does on, say, the Fitbit Charge 2 (granted, those are things you could add with downloadable apps). Built-in, this fitness tracker offers personal records, distance, pacing and even maps out your run or walk. In addition, it’ll track things like steps, floors climbed, activity intensity, calories burned and more. You can pick up the Garmin Vivosmart HR+ on Amazon for $100. If you don’t mind the lack of smartwatch-like design, the Huawei Band 2 Pro is probably the best choice on this list. With a built-in GPS and heart rate monitor, you can track your workouts without your phone and gather data on your heart rate–intensity of workouts, resting heart rate, etc. It’s got some excellent sleep tracking features as well–tracking for light, deep and REM sleep. Water resistance is also decent, at least enough for you to go swimming in a pool. It’s also got some of the best battery life on the market–a single charge will get you up to 21 days of tracking. And, of course, all this data it tracks can be plugged into your smartphone via Bluetooth. The Huawei Band 2 Pro can be bought for just $70 on Amazon. 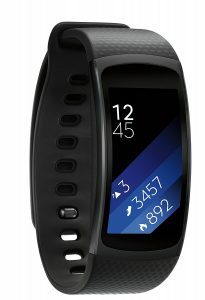 Last up on our list is the Samsung Galaxy Gear Fit 2. It’ll do just about everything you might expect of a smartwatch–tracking activities, heart rate, sleep tracking, calories burned, mapping runs with GPS, etc. The unique thing that it does is that it automatically tracks workouts (i.e. there’s no button you have to press to start tracking up as there is on some of these). Alternatively, you can manually select a sport to track. Another unique thing about this fitness tracker is that it has a standalone music player. So, you can play music from the smartwatch itself. The only thing is, it’s not very loud, so you might need to take wireless headphones with you or your smartphone and a pair of headphones. Much like the Huawei Band 2 Pro, it’s water resistant, so using this fitness tracker in harsh environments won’t harm it at all either. The only downside is that, because of the bigger screen, battery life isn’t as great and might need to be charged daily. 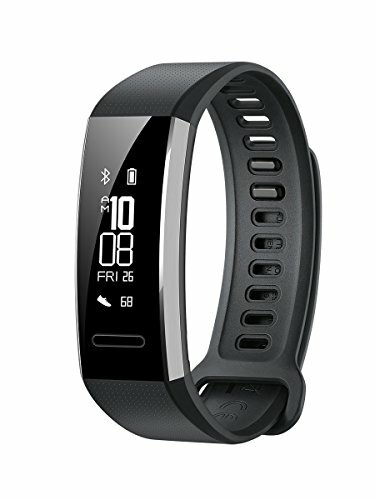 You can grab the Gear Fit 2 off of Amazon for $135. 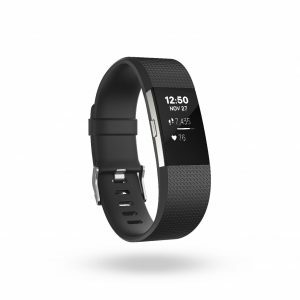 So, out of these top five fitness trackers, which should you choose? My personal favorite is the Huawei Brand 2 Pro, largely because it’s low profile and is still jam packed with features. It’s got a long battery life as well, and all for just $70. But, if you’re looking for more of a modern smartwatch-like design, the Charge 2, or Polar M600 are the way to go. If you want something tried and true, the Garmin Vivosmart HR+ won’t ever let you down. 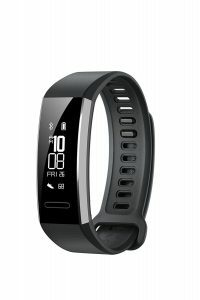 The Gear Fit 2 is also nice if you want a tad bit of a bigger screen, but I personally find it difficult to justify the $65 price increase over the Huawei Band 2 Pro when all that data is synced over to your phone anyway. No matter what you choose here though, you’ll be picking an excellent fitness tracker!